If you have been charged with Driving Under the Influence (DUI) in Chandler, AZ it is important that you get experienced drunk driving legal representation. This is because the city of Chandler and the State of Arizona have some of the most strict and punishing laws regarding DUI in the nation. You need a DUI defense lawyer that takes pride in knowing more about the strategies for effective and successful DUI defense than the prosecution and police officers. DMCantor will be “Beyond Aggressive” in your defense. For more information about specific DUI charges follow these links: Misdemeanor DUI, Extreme & Super Extreme DUI, Aggravated or Felony DUI. Our DUI defense team has been consistently rated as one of the top DUI defense law firms in the State of Arizona. We actually take the time necessary to craft the best possible DUI defense strategies for your case. All of the jurisdictions within the State of Arizona are very aggressive in their prosecution and penalties associated with DUI cases. It is very important to have the best possible legal counsel on your side when fighting these charges. 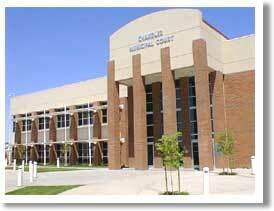 Our law firm has handled and won many favorable outcomes for DUI Cases in Chandler and across the State of Arizona. Our offer still stands, give us a call for a free case review with a DUI defense attorney. To schedule an appointment, call our offices can at (602) 307-0808 or by using our confidential email form. We have a 24 hour DUI Lawyer helpline, give us a call at our office number 602-307-0808. Are you looking for a Glendale DUI Lawyer or Scottsdale DUI Lawyer? We also handle DUI cases across the state of Arizona.